Several students and faculty wrote successful grants for nonprofit partners and to conduct research in the 2017-2018 school year. Caroline Dunlap, Master of Public Service student at the Clinton School, partnered with Anthony School to win a Whole Food’s Whole Kid’s Foundation Grant for $2000. The grant will increase children’s access to healthy foods and to develop healthy school food environments. While the Anthony School school garden had been initiated with parent support and help from community partners, the school sought funding in order to build additional garden beds in order to increase their food yield and the amount of access that children would have to the garden. Caroline wrote the grant in RHET 5375: Grant Writing in Fall 2017. Belinda White, M.A. 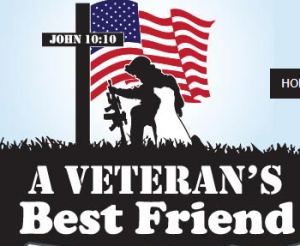 student in the Professional and Technical Writing Program, won a $1,500 grant in partnership with the nonprofit A Veteran’s Best Friend, a Christian-based organization that provides and trains service dogs for veterans with PTSD. These dogs are trained to sense when their master is feeling strong anxiety and distract their master from the episode, nightmare, etc. The dogs come from animal shelters and some even come from the Paws in Prison program. The Petco Foundation funds numerous proposals each year for non-profit organizations that work with animals. AVBF will use the awarded to make their facility accessible. Belinda wrote the grant in RHET 5375: Grant Writing in Spring 2017. 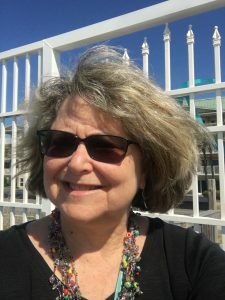 Dr. Joanne Matson was awarded a College of Social Science and Communication (CSSC) Research and Creative Activities Grant for Spring 2018. The grant provides a graduate assistant in support of Dr. Matson’s Write to Law research on how students transition from university to law school writing. The Write to Law project surveys and interviews first-year law students and their writing faculty from across the nation in order to develop the teaching of writing skills that will help students transfer their writing ability to the law-school environment. Dr. Brian Ray was awarded a mini-grant from the UALR Open Educational Resource (OER) Taskforce. The grant will support the creation of an OER that will be used in RHET 1311: Composition I and RHET 1312: Composition II classrooms at UALR. The $850 grant will fund graduate students and adjuncts who are writing resources and materials for the website, which will hopefully dramatically reduce textbook costs for students at UALR and at other colleges and universities around the nation. 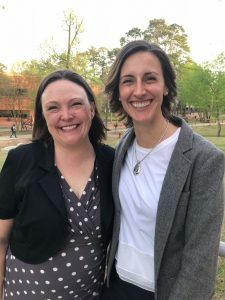 Dr. Heidi Harris and Dr. Rebecca Glazier (School of Public Affairs) were awarded a College of Social Science and Communication (CSSC) Research and Creative Activities Grant for Spring 2018. The grant provides a graduate assistant to aid in their research on the effects of rapport on retention in online classrooms. Their spring research extends their previous work on rapport in political science classes and in classes in the CSSC to study rapport university-wide. They conducted focus groups with online students at UALR and sent a campus-wide survey to all UALR students to identify effective uses of rapport in both face-to-face and online classrooms.